Having a quality asphalt surface and asphalt milling installation on your property provides you with a myriad of benefits, yet when it comes to larger installations, ensuring that you have the right pavement striping in place to guide traffic and parking can be required. When turning to the professionals at Tampa Asphalt Paving Kings for your needs, you can count on an experienced service that knows how to provide speed and accuracy. By working closely with our experts, you can count on a beautiful and functional result. When looking for “parking lot striping near me” in the Tampa area, Tampa Asphalt Paving Kings will be one of the top responses you will receive. This is due to the level of experience our experts provide and the sheer number of properties across the city that have come to rely on the services we bring. Whether you have a new installation that needs to be prepared for opening day or reapplication of your previous parking space lines and more, bringing back the professional appearance and ensuring that your traffic is operating as intended. From handicap spaces to expectant mother spots, there are key parking areas set aside for those in need and ensuring that you’re clearly marking and labeling those sections for those who need it can be beneficial not only to your clients but also to your business. When working with the experts at Tampa Asphalt Paving Kings for your pavement marking needs, you can count on professionals who work closely with you to plan out the final setup and appearance of your parking area and deliver on those requirements. Ensure that your results are just what you’re looking for with the help of Tampa Asphalt Paving Kings professionals. In order to keep the flow of traffic within your parking lot organized and effective, having the right means of direction is key. 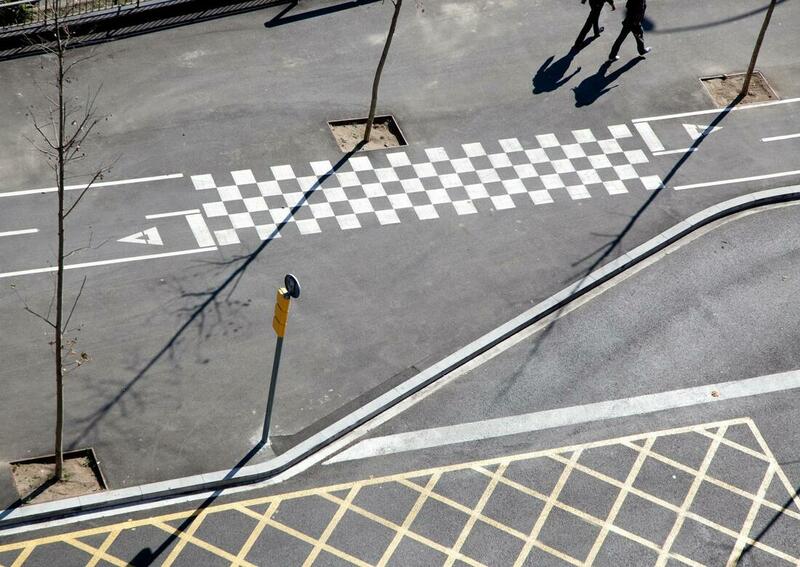 This means traffic arrows to display the intended movement of vehicles, stopping points clearly defined and no parking or stopping areas laid out. With the assistance of Tampa Asphalt Paving Kings professionals through the design period, we help you lay out an entire blueprint for your space, taking your needs and our experience into account in order to bring you a finished result that will deliver the quality you’re looking for in the end. Whether at intersections or the entry and exit-ways of your parking lot, clearly illustrating the point where your visitors need to come to a stop or to slow down for oncoming traffic is important. If these lines have faded over time, or you need to establish them upon the installation of an asphalt parking lot, choosing the professionals at Tampa Asphalt Paving Kings will provide visibility and quality. With only the best products on the market in the hands of skilled professionals, you can be sure that your parking lot will look the way you want to present to the world.